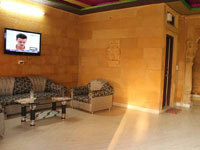 We are proud to present �HOTEL JAISALMER PALACE � hotel as best located Hotel in Jaisalmer. 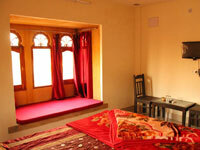 Our motto is Customer Satisfaction, and this is the reason most of the tourists recommended it the best Hotel in Jaisalmer. 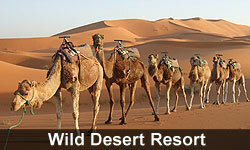 The famous rooftop view at Hotel Jaisalmer Palace & Fort View Restaurant has been attracting guests and photographers for years. 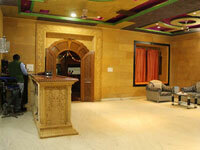 Our relaxed atmosphere and hospitality is what has people always coming back in Hotel Jaisalmer. 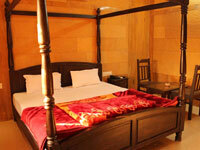 The Restaurant and hotel are housed within the walls of Jaisalmer' 600 years old fort . 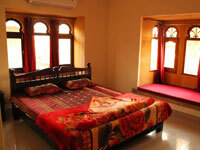 Our rooftop lounge and Jharoka balconies in each room offer some of the cities most impressive views at Jaisalmer.